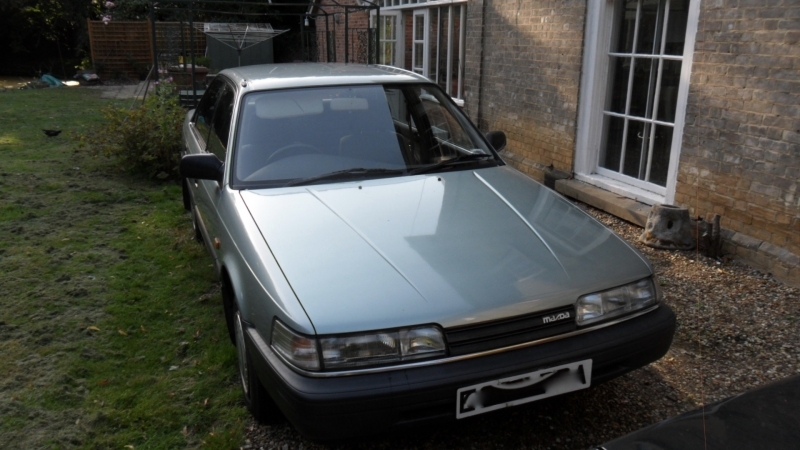 Mazda 626 1.8 LX five speed manual saloon in metallic emerald silver which was in the same family ownership since 1991, and currently has just under 86k miles, and was in regular use until 2013, when it was put into dry storage, although regularly taken out for short runs. 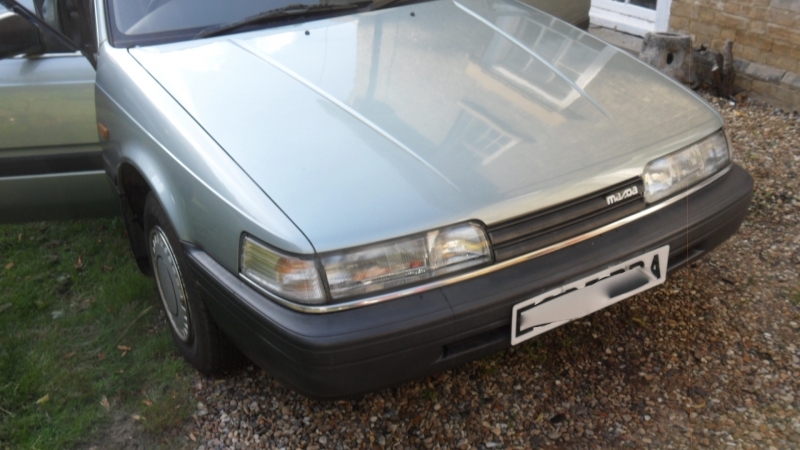 Since my purchase I have had the car MOTed, serviced, with new front brake pipes and pads. the underneath has also been waxoiled to protect the more explosed areas. According to the previous owner the car had a new front exhaust pipe in 2009 with a rear silencer box in 2011 and two new tyres in 2013. He also had the bonnet re-sprayed in the correct colour code as it was beginning to fade in 2008. 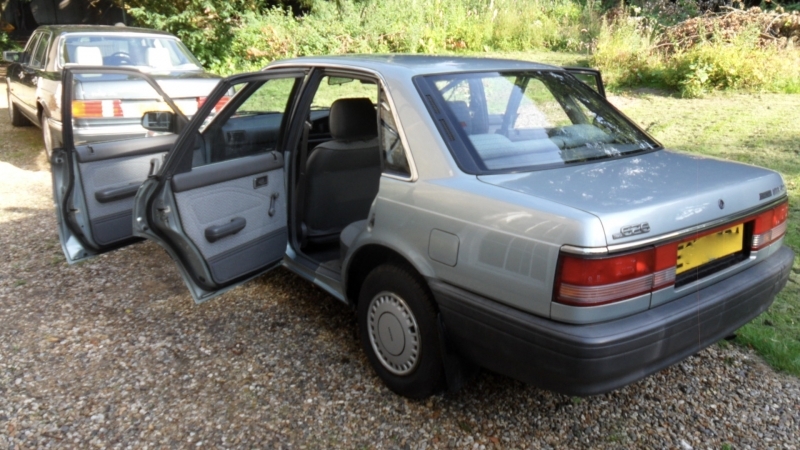 Overall the car is in very good condition for its age, with the interior cloth undamaged. 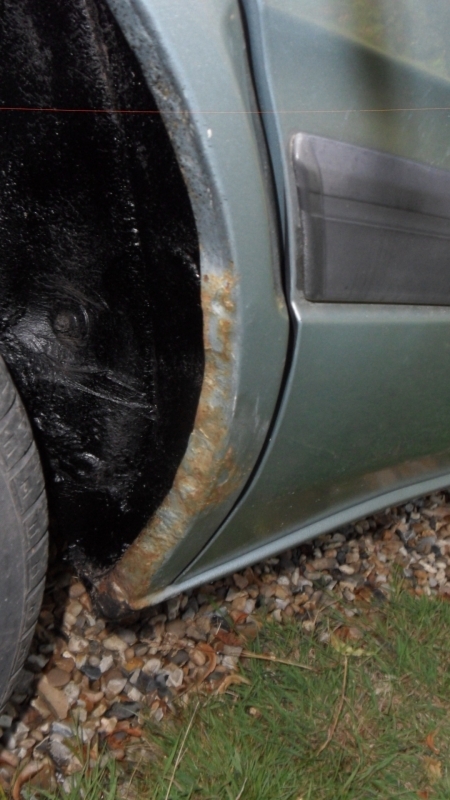 the only slight issue is off side rear wheel arch has slight surface rust, as shown in the photographs. 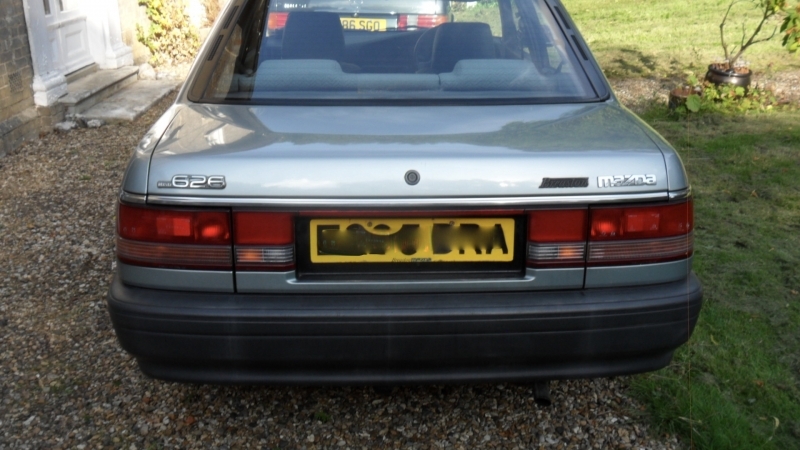 Although the LX model, it still came with rear fog lights, heated rear window, remote opening for the boot and petrol cap. in addition the split rear seats fold down giving extra boot space when required. Running well and an ideal first classic and/or usable everyday car. Brakes: Accessories: Needs a new radio.